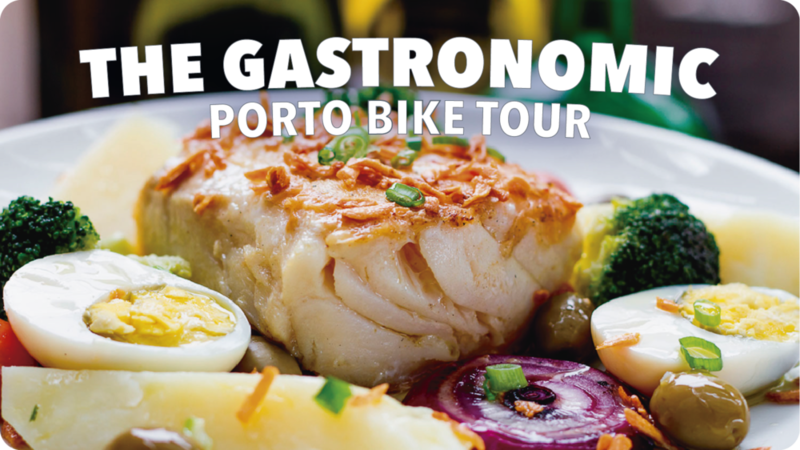 WE ARE PLEASED TO INTRODUCE YOU OUR NEW PORTO OLD TOWN ELECTRIC BIKE TOUR, AN ACTIVE, BEAUTIFUL AND INFORMATIVE EXPERIENCE..
WE ARE PLEASED TO INTRODUCE YOU OUR NEW PORTO OLD TOWN ELECTRIC BIKE TOUR, AN ACTIVE, BEAUTIFUL AND INFORMATIVE EXPERIENCE. Our e-bikes Kalkhoff Agattu i7 with last generation engine. 3:30 hours tour by the emblematic places of the city. Possibility to choose one of the 2 options, REGULAR or PRIVATE TOUR. Cycle the streets of the city without effort to absorb the local atmosphere. Get to know top attractions. Good spots to take photos. Small group limited to 6 people. An adventurous electric bike ride by the leaning streets of Porto through famous and hidden places of the city center. The “You must do” in town and more at 3:30 Hour! 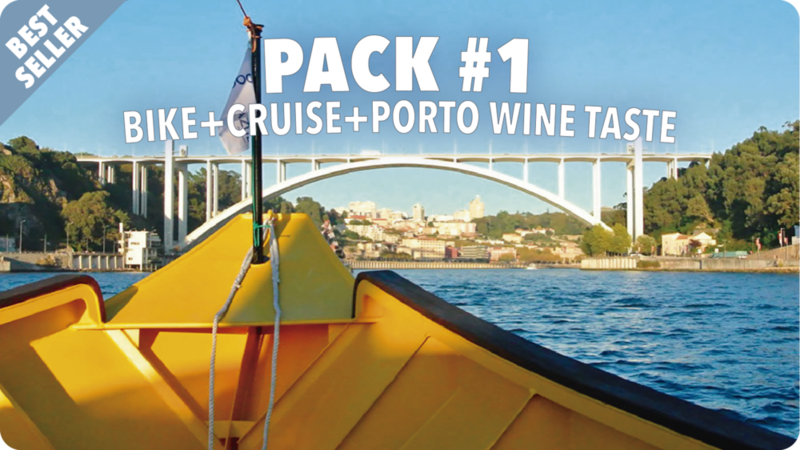 Get to know Porto and its origins in a relaxed way. As soon as you meet your guide at the fountain of Largo de Artur Arcos (historical center), our electric bicycle tour will take you through the narrow streets of Porto's historic center. Becoming more and more familiar with its main attractions: Mother Church of Massarelos, the stunning gardens of the Palácio de Cristal, Cordoaria Garden, Clérigos Tower, Av. dos Aliados, the Lello Bookstore and S. Bento Train Station that were the inspiration for the Harry Potter books, the Porto Cathedral, then enjoy the breeze of the Douro River during the crossing by the Luis I bridge. 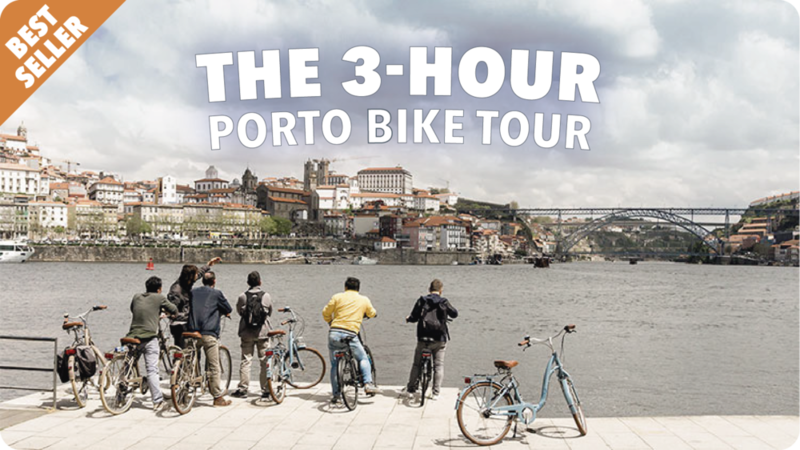 THE PORTO OLD TOWN ELECTRIC BIKE TOUR is the best choice for your first visit to the city. Important: The difficulty level of this tour is MODERATE. The tour takes place on streets with regular traffic although the itinerary of the tour takes into account the streets with less traffic. This activity is available for groups of 2 to 6 people, who are likely to do the activity with other participants. Apart from our low price guarantee, with us you are 100% assured that your booking is made. We provide an instantaneous email confirmation and have live spaces and availability for each tour. If you have any queries you are in the hands of our team of local experts who speak perfect English, French and Spanish and are here on the ground. We guarantee quick responses to any questions or queries. Due to the growing demand for our tours, the sooner you book, the better. If you're 100% convinced about choosing us to show you the best of Porto, don't leave the reservations until the last minute because we can fill up pretty quickly. We conduct tours with a minimum of 2 people and maximum of 6 people. We want to offer you a personalized tour. Wear comfortable clothing and sneakers/trainers. A healthy breakfast is advised and sunscreen recommended (in summer). Why take the PORTO OLD TOWN ELECTRIC BIKE TOUR with Biclas & Triclas? Our Team has fine tuned this tour since we started and we commit to making it better every day. We are sure you’ll discover PORTO hidden gems that you’d never experience inside a tour bus. Our tours are up-close and personal, Not to mention you can choose between several languages (English, French, Portuguese or Spanish), so you won’t have a problem understanding your guide and learning some local slang. In the words of a TripAdvisor fan, our tours are far from the conventional boring tours with "Wikipedia-like information”. If you are not convinced, check out our rave reviews on TripAdvisor.